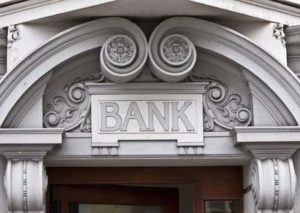 Consumers have a wide variety of banks to choose from. You can roll up to the drive-thru window of your local community bank or visit the teller at the regional branch of a national chain. You can sign on with an all-access credit union or use one exclusively open to people working for a particular employer. But the federal government has only one choice for banking, and that is the Federal Reserve. The Federal Reserve hasn’t been around forever. It was founded in 1913 to provide some unified banking oversight independent from the U.S. government. Although the Fed is a private entity, its actions are overseen by Congress. The Fed has 12 banks across the country. Its main Board of Governors and five Reserve bank presidents make up the Federal Open Market Committee (FOMC), which meets eight times a year to set interest rates and decide whether to adjust the currency supply by investing in bonds (a process also known as quantitative easing, or QE). This board is responsible for setting policy and maintaining a stable monetary system for the country. Many people believe that the Federal Reserve actually prints money—but this is incorrect. Instead, they change the amount of money that banks have by purchasing bonds and by changing reserve amounts, which gives banks more or less money to spend or lend. The government’s account with the Federal Reserve holds all the money collected from taxpayers. From this account, all government payments are made. Additionally, treasury securities such as T-notes and savings bonds are sold and redeemed through the Federal Reserve. It seems like it should be pretty important to ensure that the Fed’s Board of Governors is impartial, right? After all, it remains a private entity in part to ensure that it isn’t overly pressured by politics. Unfortunately, not everyone seems to be on board with that train of thought—some of the prior members of the Fed’s board were also CEOs of the very banks they were charged with regulating and supervising. This sets up a major conflict of interest. In 2012 Vermont Senator Bernie Sanders likened this to having a fox guarding the henhouse. Sadly, the potential for conflict doesn’t end there. In 2011 it was reported that the Fed had provided $16 billion in funding to General Electric while the CEO of GE sat on the New York Fed’s board. Other companies, such as JP Morgan Chase and Lehman Brothers, have also received emergency funding from the Fed while having executives serving on the board. It’s impossible to know how a completely impartial board would have approached the financial needs of these companies or monetary policy if the members did not have their own financial interest in the outcome. Of course, it’s also important to consider that every individual in this country is affected by U.S. monetary policy so a completely impartial board is likely impossible to find. Another point of contention among many is that the Fed effectively increases the monetary supply when it sees an economic need for it. Some believe that this creates a false sense of security and stability that will only further the country’s economic problems. Often, these individuals are proponents of a return to the gold standard. 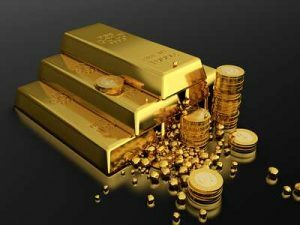 Up until about 1933, the amount of currency the U.S. produced was directly related to (and backed by) a fixed amount of gold. As gold reserves became drained during the Great Depression, the gold standard was abandoned. Because the supply of gold was fixed, but the demand for cash within an economy is not, abandoning the gold standard was seen as a way to accommodate the economic needs of society more readily and avoid prolonged financial depressions in the future. Many were critical of this decision at the time, and now—80 years later—there are those who think that the gold standard would better control the country’s spending, limit inflation and give an intrinsic value to currency. The Federal Reserve plays an integral role in maintaining a reasonably healthy U.S. economy. While we may wonder what the country would be like without the Fed and with the gold standard reinstated, it’s hard to ignore that the financial needs of a complicated economy such as ours may require a more sophisticated approach to management and oversight that an impartial Fed is better suited to offer.